Enjoy the ability to travel at your own pace and personal attention from your guide on this half-day food-focused tour in Chianti. 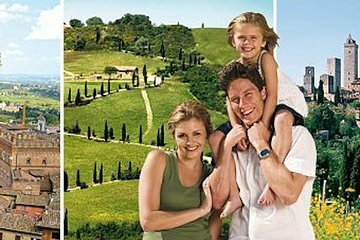 Choose from morning or afternoon departure, then head to the medieval village of San Gimignano to climb its Great Tower and eat some world-famous gelato. Continue to Chianti, where you'll stop at a boutique vineyard to taste wine and tour the property, followed by a gourmet meal, before returning to Florence.